City of North Augusta chooses XR-3 PW for potable water needs. Location: North Augusta, SC U.S.A. This XR-3 PW baffle is used in a finished water tank to ensure adequate residence time. 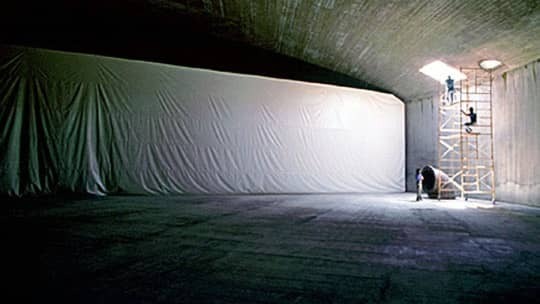 Utilizing the material strength, the baffle hangs in the tank prior to filling, and then acts as a geosynthetic wall. The XR-3 provides an economical, long-term assurance of performance.